Though her performance in Toronto was cancelled earlier this week, Ukrainian-born pianist Valentina Lisitsa will still be performing in Calgary this June. The Calgary Philharmonic Orchestra plans to go ahead with Lisitsa’s scheduled appearance despite the Toronto Symphony Orchestra dropping the artist over what it called “deeply offensive” comments made on Twitter. "Whether or not one agrees with Ms. Lisitsa's political views, at this time at the CPO, our agreement with her is as a guest artist, to perform Rachmaninoff's Second Piano Concerto with our orchestra in June," Heather Slater, the Calgary orchestra's director of artistic planning told The Canadian Press. Despite being dropped by the TSO, Lisitsa still travelled to Toronto this week, where she says her fans have voiced their support. 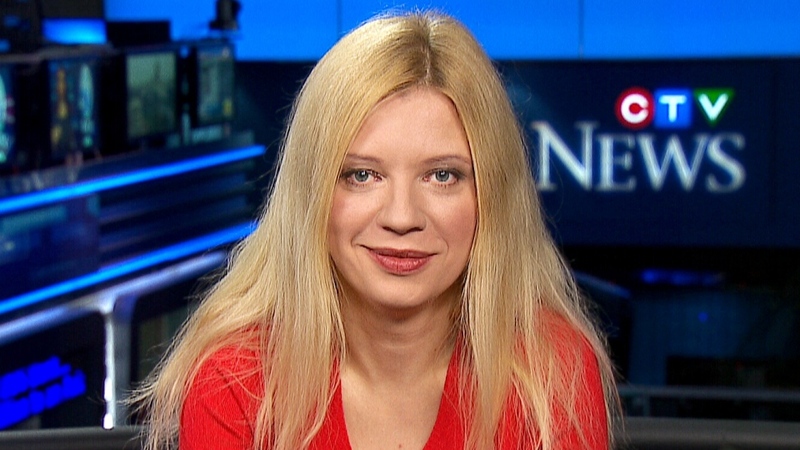 “Even here in Toronto, while I’m staying here, I’ve met so many Ukrainians who say ‘Those people don’t speak for us,’” Lisitsa told CTV News Channel. She said she originally made the Facebook appeal to her fans to try to show the TSO it was making a mistake. Lisitsa also said her agent had been told a TSO donor had threatened to pull funding if she performed, though TSO president and CEO Jeff Melanson said that wasn’t the case. Melanson said that claim was perhaps a misunderstanding between the agent and his staff. “There has not been pressure from the donor community, nor has there been pressure from government bodies,” he told CTVNews.ca Wednesday. Melanson said he did receive a letter from the Ukrainian Canadian Congress expressing concern, but said that no donors from the Ukrainian community were putting pressure on the TSO. Melanson said many people in the Toronto community had reached out to the TSO to voice their concerns over Lisista's tweets. He defended the company’s decision to cancel Lisitsa's performance said, saying it was a direct response to remarks on Twitter that were "deeply offensive in nature," and not because those tweets were critical of the Ukrainian government. "We're not choosing sides between Ukraine and Russia," Melanson told CTV's Canada AM on Wednesday. Melanson said the issue goes back to December. At one point, the TSO had sent Lisitsa seven pages of her tweets they considered problematic, asking the artist to confirm she was the author and hoping she might retract the tweets. Some of those tweets were about Ukraine regressing as a nation and the western part of the country dreaming of “a hut with an orchard” as opposed to “industrial manufacturing might.” Others depicted Ukrainian politicians as pigs, with one picture showing the rear ends of the animal as the “leaders” of the country. Melanson told CTVNews.ca the TSO wanted to ensure Lisitsa stood by the tweets before taking action. 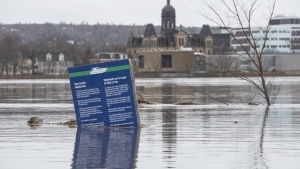 “We heard pretty late in the game that these were her words, and made a decision about a week and a half ago,” Melanson said. But Lisitsa insists she has been censored by the TSO for expressing her political views as a "private person." "There is freedom of speech, freedom of expression that goes both ways," she told Canada AM on Wednesday. Lisitsa, who was born into a Russian-speaking family in Ukraine, has been living in the United States for the last 20 years. Her YouTube channel has more than 178,000 subscribers, and several of her performance videos have been viewed more than 1 million times. Her performance of Beethoven's Moonlight Sonata has been viewed more than 9 million times. Melanson said Lisitsa used her fame to spread her message, and accused her of making comments that were "very damaging and denigrating to other human beings." Though he said it was unlikely, Melanson said there was concern Lisitsa would use the stage to voice those views. After Lisitsa was pulled from the Rachmaninoff performance earlier this week, she was briefly replaced with Canadian pianist Stewart Goodyear. But the TSO cancelled the Rachmaninoff performance altogether on Tuesday. Goodyear said his dreams were "shattered" when the TSO cancelled his performance shortly after they asked him to take Lisitsa’s place. "It was a dream of mine to perform it in Toronto with the orchestra that I thought I had a close relationship with," Goodyear wrote on Facebook Tuesday. Melanson said the performance was cancelled "out of respect for everyone," adding that both performers would still receive payment. "We didn't feel that it was fair to our orchestra, the maestro, or our fantastic guest artist Stewart Goodyear to move ahead in light of what's happened this week," he said. But the social media firestorm doesn't stop with Lisitsa and the TSO. Goodyear says he has now been caught "in the middle of a social media frenzy" that has made him a target for both sides of the debate. "With all due respect to the pianist who I was going to replace, one must own one's opinions and words, and have the courage to defend her position without hiding behind the pseudonym, 'NedoUkraïnka,' " Goodyear said. Goodyear blamed Lisitsa for "dragging" him into a situation he had nothing to do with. "Her attitude, and the mob-like behaviour of her devotees, censored Rachmaninoff's second concerto," he said. Melanson said the TSO has no plans to vet future acts for their political views before scheduling them to perform. Pianist Valentina Lisitsa appears on CTV's Canada AM from CTV News studios in Toronto, Wednesday, April 8, 2015. 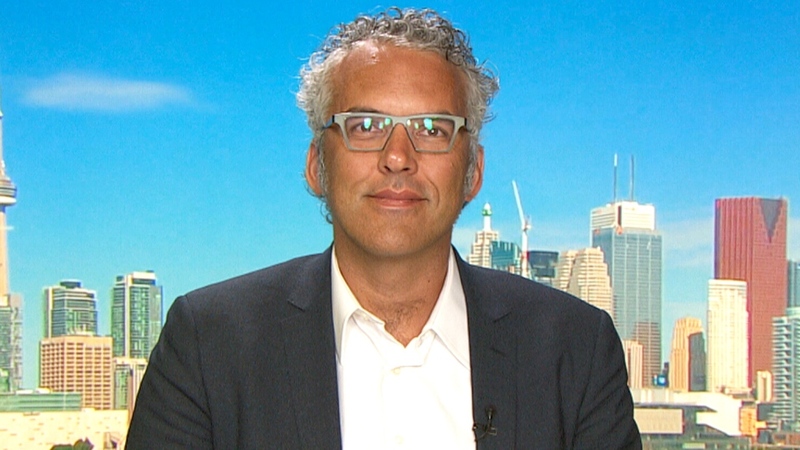 Jeff Melanson, president and CEO of the Toronto Symphony Orchestra, appears on CTV's Canada AM on Wednesday, April 8, 2015.